Today I am introducing you the latest SAMSUNG Firmware Downloader Tool. This amazing tool is used to download Samsung Mobile firmware's. It is very easy and simple to use. It is easily available on different sites for downloading. 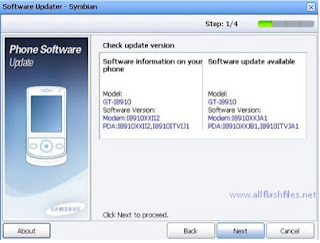 You can download latest flash files of your Samsung Mobile with the help of this wonderful tool. This tool is only used to download firmware of Samsung Mobiles only. Before downloading you will have to enter IMEI number of your phone. As we know that with the passage to time, mobile working speed becomes slow and or if the firmware becomes corrupted, then the mobile needs to be flashed out and re-installation of new and latest firmware. You can use latest flash files for flashing your mobile. You can use different tools or boxes for flashing your mobiles. If you flash your mobile with latest flash files, the mobile will restore in its original setting. Flashing tools allow you to flash mobiles via USB data cable with out flashing boxes. Download the latest flash files through the downloader from the given link. Update your mobile. After flashing, your mobile's performance will be come better. Remember to take a back up of your important data otherwise in case of not taking the back up data, you will lose your data. After flashing the back up data will be recovered. For better working and performance of your mobile, go to the link, click the download, and after click the download, the download will start within a short moment. Flash your mobile after installation of latest flash files through downloader.